Everyone loves a bus trip, but you've got to let the people know when and where it is happening! This flyer was designed for just that purpose and includes a very unique row of green and red buses as decoration. 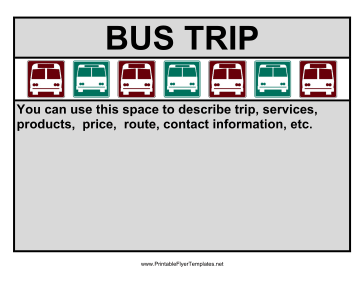 A large space is provided for describing the price, route, and other important information.